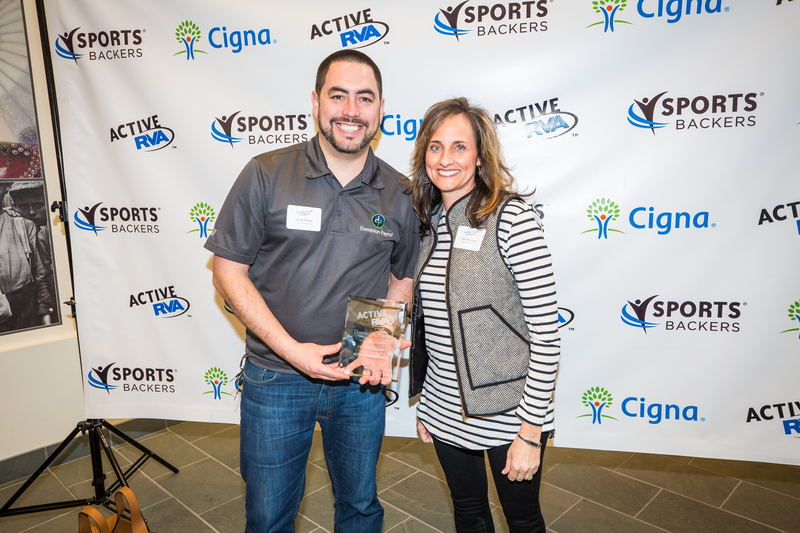 Created in 2013, the Active RVA Certification and Awards program recognizes the Richmond region’s exceptional employers, schools, and early childhood education providers that are implementing innovative programs to promote physical activity. Hundreds of organizations have earned Active RVA Certification for their embrace of active living. The Active RVA Awards are part of the Movement Makers Active Living Summit, which brings together individuals and organizations that are part of the active living movement to share best practices on making physical activity a priority in communities. Active RVA-Certified Workplaces support their employees to maximize their health and wellness through regular physical activity. By utilizing programs, infrastructure, and measurable results, Active RVA-Certified Workplaces provide meaningful pathways for all employees to get moving and get healthy. Get your company certified now! Click here to see the list of 2018-19 Active RVA Certified Companies. An Active RVA-Certified School is an area early childhood education center, elementary, middle, or high school that adopts, supports, and engages physical activity as part of their school’s culture. Active RVA-Certified Schools support their students, faculty, staff, and their families to maximize their health and wellness through regular physical activity. By utilizing programs, infrastructure, and measurable results, Active RVA-Certified Schools provide meaningful pathways for the whole school community to get moving and get healthy. Complete the online survey to get your early childhood education center certified, and do the same for your elementary, middle, or high school. Click here to see the list of 2018-19 Active RVA Certified schools and early childhood education providers. Want to get your organization Active RVA Certified? Just fill out the survey below and let us know what you’re doing to get your school or workplace active on a daily basis!